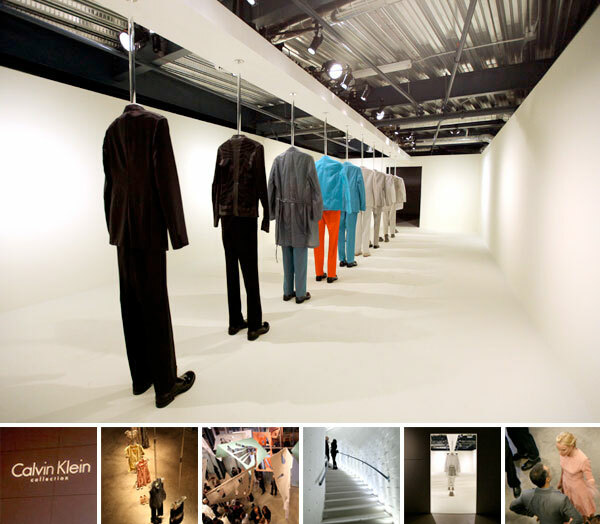 On incredible and unexpected inspiration tonight ~ i ended up at the Calvin Klein + Los Angeles Nomadic Division event. As the invite stated - “CALVIN KLEIN COLLECTION AND LOS ANGELES NOMADIC DIVISION (LAND) TO PRESENT FIRST-EVER EVENT IN LOS ANGELES IN CELEBRATION OF L.A. ARTS MONTH AND ART LOS ANGELES CONTEMPORARY (ALAC) Brands’ Creative Directors Francisco Costa and Italo Zucchelli to Host Special Evening; Unique Collaborations with Jean Shin, Neville Wakefield, and Special Installation by Jennifer West” Firstly the space across from the Pacific Design Center is absolutely stunning. A beautiful culmination of art and fashion, these collaborations were breath taking ~ Jean Shin created “Pattern Folds” commissioned by Calvin Klein, and first unveiled in Seoul. She’s known for her ability to create installation which transform castoff materials. 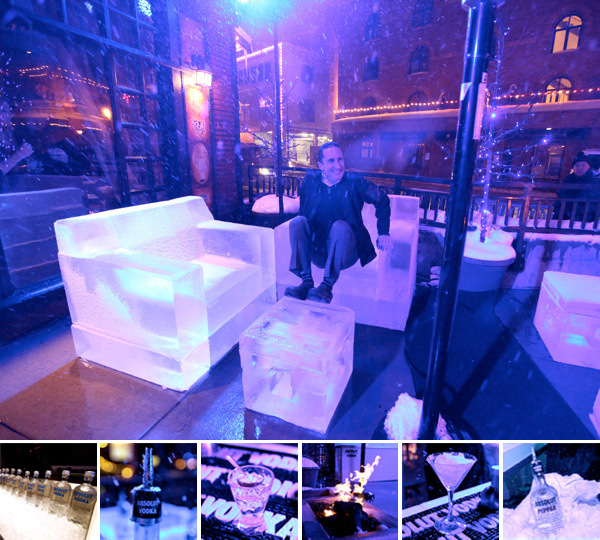 In this case she created a beautiful installation on the first floor of the event. Upstairs in a specially lit stark white room, Neville Wakefield presents Zuchelli’s Spring 2010 collection… it was quite a trip to wander through the room as the collection is suspended and the lighting constantly shifts from incredibly bright, to dark. See the images of these collaborations as well as the space itself on the next page, and videos and images of Jennifer West’s installation have a post of their own here. While at A+R Store today, i couldn’t resist these lovely Manymals silver necklaces. 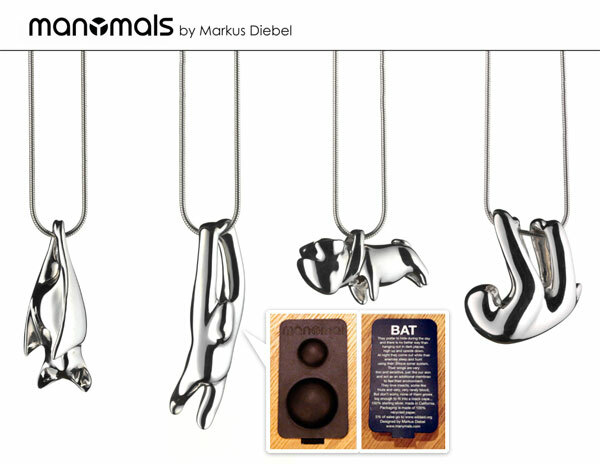 Sleek simple shapes ~ Bat, Sloth, Gorilla, Bulldog ~ designed by Markus Diebel. And as if i didn’t love them enough then… they teased me with the packaging, which is so AWESOME! I nearly didn’t want to open it, but i was dying to wear my new bat tonight! Sleek black packaging molded out of 100% recycled paper. Playful typography on the back panel describing each creature… and 5% of sales go to WildAid! Ok but beyond how pretty the pieces look, you have to see how cool the packaging is on the next page! 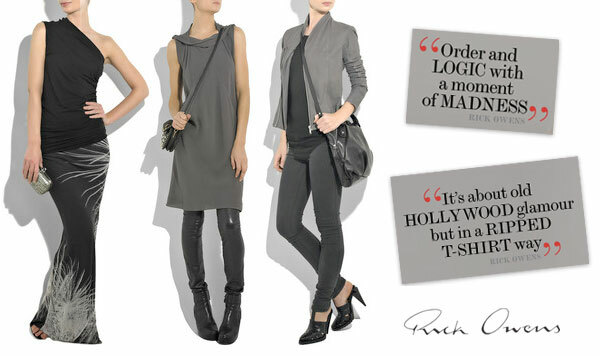 As emails came in today, i was taken by the Net-A-Porter mailer about their latest spread Rebel Rebel with Rick Owens’ spring collection. Beyond the gorgeous images, the quotes were what really grabbed me in their interview with him. Both quotes embody much of how i like to see the world ~ and once i found out he is a SoCal native currently living and working in Paris, his perspective makes perfect sense. Take a peek at a bit more on the next page. 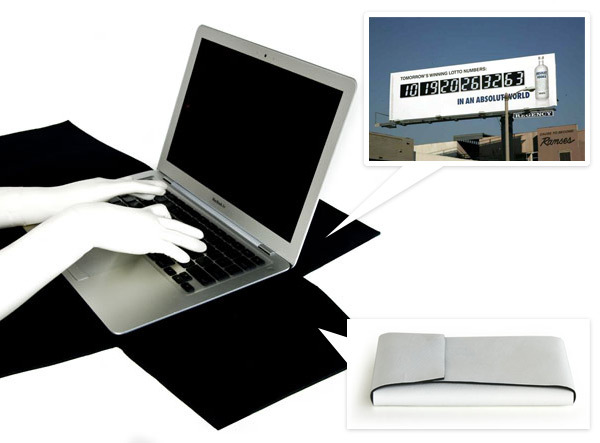 Fresh in from Artecnica, the latest in their Design W/ Conscience program with MAL / Media Arts Lab part of TBWA\, Artecnica to find designer solutions to recycling their large format billboards. Remember their Artecnica + TBWA\ Recycled Stretch Bag? Well, these new Laptop Cases are lined with black neoprene to add softness and protection to the case, and come in 13” and 15” sizes. See more images of the case on the next page. 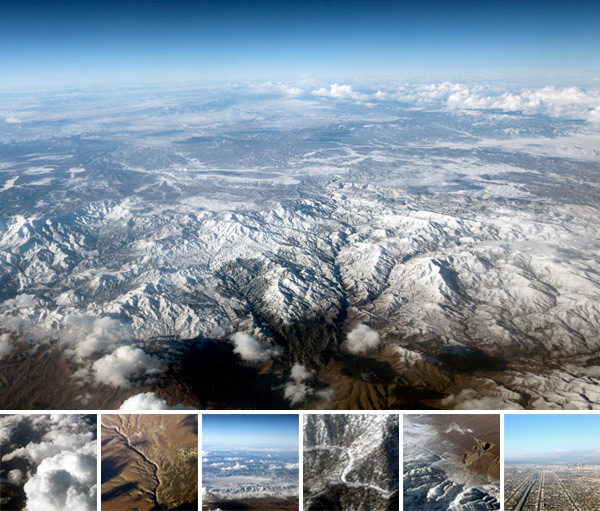 I passed out as soon as i sat down on the plane from SLC to LAX ~ i barely remember take off ~ and then suddenly when turbulence jolted me awake somewhere in between, all i saw out the window were surreal and stunningly dramatic shadows on snowy mountains… and i was so mesmerized, then something kicked in, and i half awakenly grabbed my camera, and felt like i was dream shooting all the way back to LA. So fun to see the world from that view ~ such a nice perspective shift from what’s felt like a very conceptually nazel gazing last few days. I love the way the snow transitioned into dessert… and into cities… and the way roads are carved into the snowy tree filled mountainside… the way the city glowed with the hollywood sign and downtown popping out as we landed… Take a look on the next page! So on future possibilities ~ perusing DesignBoom this morning, i became totally fascinated by the possibility of living in a turbine… or vacation in one… as a floating island… just imagine the views! And the bizarre potential of such a structure? On Office has been researching and visually exploring the potential of Turbine City to perhaps live off the coast of Stavanger, Norway. Apaprently Norway has the best conditions in the world for utilizing offshore wind power with its longest windiest coast! Don’t mock, but this world feels very Waterworld meets scandinavian design meets dubai architecture at the moment… See more images on the next page! On unexpected gifts that made me LOL and people who’ve helped me navigate the fun intersection between design, advertising, business, online media, and more ~ Chas ran off to India for the holidays (surprisingly, not to find himself, like others i know have been) ~ as advisor and old friend of NOTCOT ~ i asked him to show me some awesome design from india ~ leave it to an ad man to find a way to mix his passion and mine ~ i was gifted with this book (and lots of pictures of india! including ads of india! But also the beautiful found throughout on his adventures.) 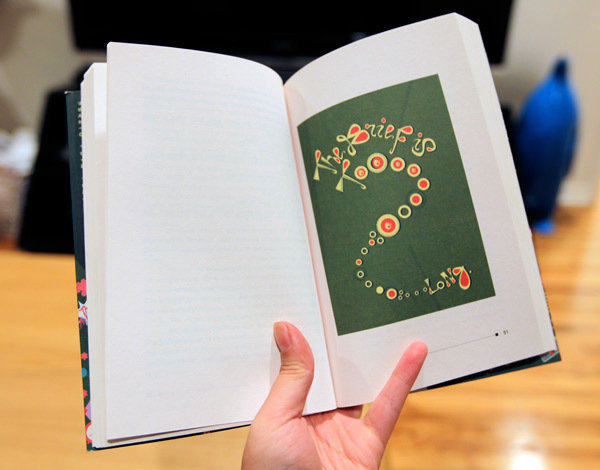 But back to the book: Welcome To Advertising Now Get Lost by Omkar Sane. The book cover cracked me up. The idea that it had so many playful illustrations throughout was great as well. And if you read it ~ it’s a playful look at the world of ad agencies in india… from the creative directors to the art directors to the clients to the pitches and more… perhaps a lot of it is similar to how it works here. And amidst making a mockery of much of the process (filled with local references), it’s pretty funny, and an amusing perspective on how things work. And as creatives who may either live in a similar world, or tap in to it regularly ~ you’ve got to take a peek at some of the illustrations inside by Aindri Chakraborty on the next page. 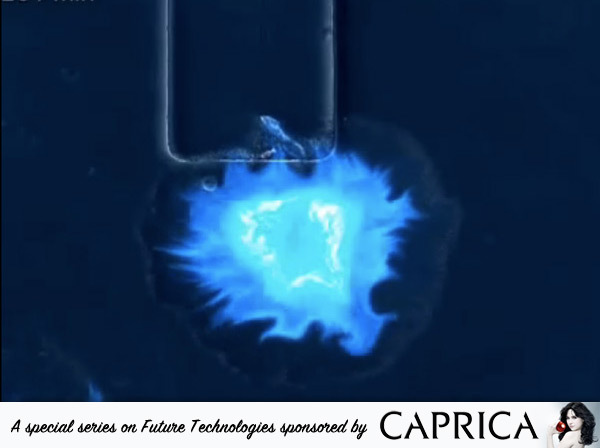 This post is the third in a series of 4 posts sponsored by Syfy’s Caprica focused on Future Technologies. As usual, our fun advertisers enable us do our thing around a theme by trusting us when it comes to content! On silly little kid stories, when i used to hang out at guitar stores with my dad, i’d be that little girl the store guys would let play with the pick drawers, and they’d always let me have a few… my favorites? Dunlop Tortex! In Green of course! Because i was in that rational “it HAS to be green, its a turtle” little kid mindset, and while knowing it made a difference, i refused to care about how thick it was, what the different colors meant, etc… i just wanted the green ones… flash forward about 20 years, and is it any wonder that my absolute favorite booth encountered at NAMM is Dunlop? The graphic design of the posters and the design of the booth itself were so much fun, the kind of inspiring that makes you want to go design gig posters… and i could have stayed and stared at the panels of custom guitar picks for hours. Also, how exciting is it that there will be a documentary film coming this spring on the Cry Baby? 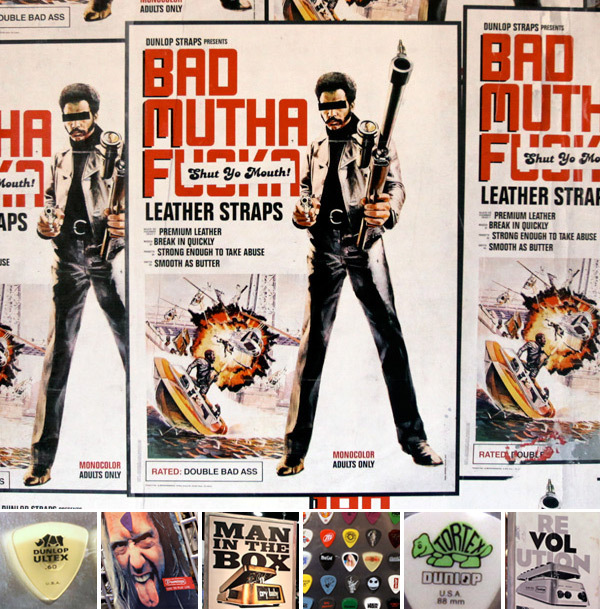 Seeing that awesomely designed poster just made me remember being a little girl balancing on the wah wah pedals amused no end with all the noises i could make… And really, how could i not post the Bad Mutha Fucka Shut Yo Mouth posters… all of the graphics at this booth were really far too fun to pass up. Take a little tour of it all on the next page! 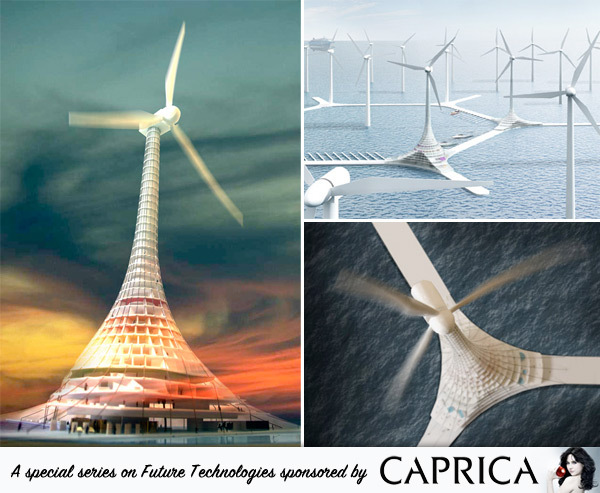 This post is the second in a series of 4 posts sponsored by Syfy’s Caprica focused on Future Technologies. 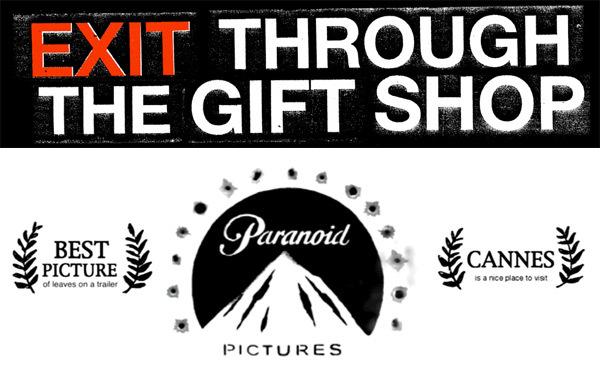 As usual, our fun advertisers enable us do our thing around a theme by trusting us when it comes to content! Ryan Mc Sorley just sent over some images of his product design final project at Central Saint Martins - Skin by Chanel. While at first glance it seems bizarre and perhaps even more low tech on the surface than you’d expect for a “future tech” post… it really sparked some playful conversations on where skincare may take us in the future. But first, here’s his concept! It plays with the idea of skincare and branding ~ looking at the skincare market and how far people go to primp their skin, “Just as we can define ourselves through the brands of clothing we wear, or the brand of mobile phone we have, we can now define ourselves by the brand of skincare product we use. If you are using skincare by Chanel, you want people to know that your skin is by Chanel, in the same way that Chanel handbags have clear branding, why shouldn’t our skin.” In his design, in addition to your cleanser, toner, lotion, you can also leave a logo impression on your skin! Yes, the type that appears when you sit in short shorts on a rattan chair for example. It fades in a few hours, but you look pretty silly until then. While i can’t say i buy in to the logic, nor do i love overly branded goods, it did get me thinking about the future of branding and technology. Imagine if the lotion itself had the ability to create those branded impressions. 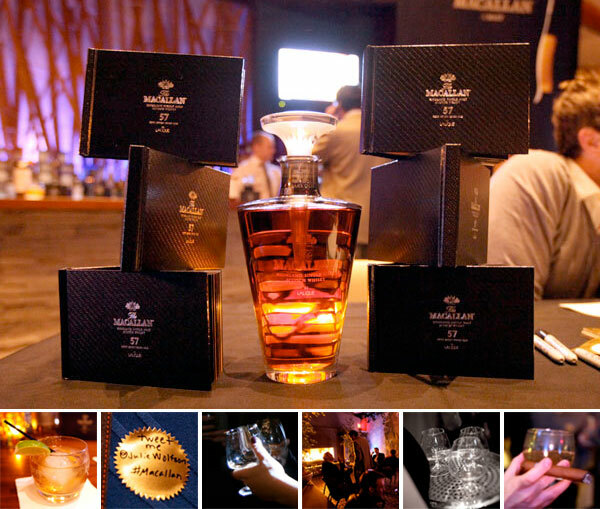 Or if the samples created a brand on your cheek… unlocking the full version gave you the full experience brand free? Much like software? Or what if tattoos came in creme form? Or imagine if you are what you eat, and small symbols appeared on the skin of your wrist showing what you are made of ~ fun motivation to get some eating healthier? 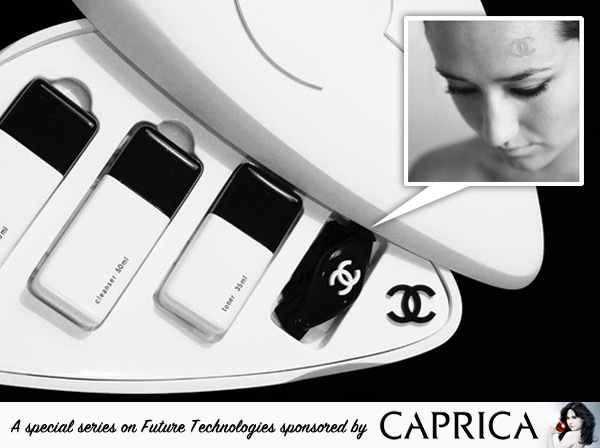 So many random ideas keep popping up… see more picture of Ryan Mc Sorley’s Skin by Chanel project on the next page! 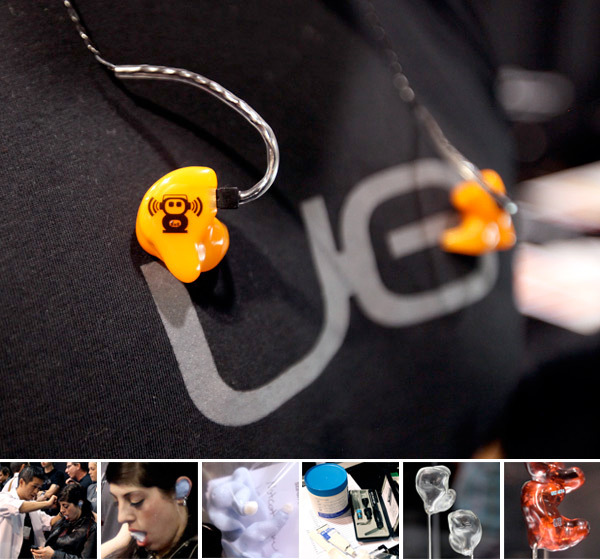 The super sweet folks of Ultimate Ears (an irvine based Logitech company) ~ reached out and invited me to visit them at NAMM ~ and little did i know that when i arrived at their booth, i’d be sat down in an ominous white leather chair, while Dr. Noy in white lab coat and all would make me bite down on a piece of foam while he filled my ears with mysterious blue quick drying goo. Ok, so to be fair, that’s the creepier way of wording it, basically they took impressions of the inner workings of my ears for some custom fit earphones by Ultimate Ears - while i’ve never been much of a headphone connoisseur, they’re catching me up quickly… i’ve been using their 700s since the unboxing and the sound quality has been awesome… but people can’t seem to stop raving about the customs… not to mention i’m fascinated by the idea that they can be customized to your heart’s content (color, graphics, etc) and they fill fit perfectly into your ears (and only your ears! unless you find an ear twin? )… more to come once i actually figure out how i want to customize my customs (any suggestions?) 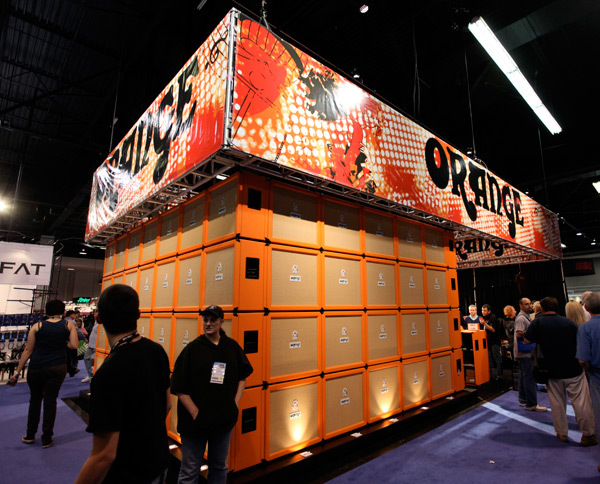 ~ but for now, take a peek at the fun Ultimate Ears NAMM booth! It had quite the crowd, but i tried to sneak a few fun pics of the ear molding process and some of the examples that were out!